What Does Bluetooth 5 Mean For You? As the second half of 2017 comes around, mobile manufacturers are bringing up a new standard in Bluetooth technology, Bluetooth 5.0. It’s one of those, “How will this affect me?” sort of specifications for most people, but since it’s here, you may as well know how it may impact your device choices in the near future. Though its computer history dates back to the late 1990’s, Bluetooth phone accessories really began to gain their popularity in the early 2000’s. This was one of the first products in the United States that allowed users to disconnect from their mobile phone and have a wireless earpiece as their main form of communication. Since then, Bluetooth has gained in popularity and has become common place in the mobile industry. From transferring files to “pairing” with your car’s audio system, Bluetooth is everywhere today. Many users fail to understand how to wirelessly share data via their computers and phones, but once you understand that you can send a file to your friend of family member with just a quick tap, Bluetooth becomes one of the best features a device can have. Of course, since 2009, things have changed. Photos are larger, music files have higher bit rates and now you can control a light bulb with Bluetooth technology. It’s a much different situation than it was back in the day, and Bluetooth has evolved right along with those needs. Bluetooth 1.x began simply as a way to connect two devices back in 1999. It jumped into the public eye at the COMDEX show that year and began gaining traction with businesses over the next few years. In 2000, the Ericsson T36 was released as the first mobile phone to feature Bluetooth. This was also the first year the a Bluetooth Headset became available to the public as well. Fast forwarding through a few years of growth and technical milestones will bring us to the 10th Anniversary of Bluetooth and the release of BT 3.0. Just two short years later, the current standard of Bluetooth 4.0 was created and 29 new profiles were added to the system. As 2016 came to a close, Bluetooth 5.0 was announced and a new standard in wireless services is coming up on the world quickly. Now, don’t panic, your 4.x products will work just fine with the new format, as will all the older formats as well, the difference between 4 and 5 is going to be pretty monumental, so buckle up. Stepping in to Bluetooth 4.x, which dates back to 2009, the Bluetooth Special Interest Group, or SIG for short, brings us to an age where we could send data over an extremely low powered wireless connection between two devices. This meant you could transfer files or any data for that matter, with speeds that would be almost as fast as connecting the devices by cables. The LE markings indicated that it was a Low Energy device, which increased the battery life for mobile devices that used the services. For example, during the days of Bluetooth 2, you could loose 30-40% of your battery just having the Bluetooth radio on. Today, that radio running Bluetooth 4 will use a fraction of that power. Needless to say, 8 years ago, Bluetooth 4 was a monumental step forward in wireless technology. Almost 10 years later, Bluetooth 5 is shaping up to be almost as big of leap as 4 was. The transmission data rates are doubling once again, LE is no longer an option, but built into the chipset as a standard and the range of connections should be at least double what they were with 4.2. This means faster file sharing, more stable connections and less battery usage every time you use it. As “smart homes” begin to take shape over the next few years, it’s a sure bet that Bluetooth 5 will have a large part in shaping them. 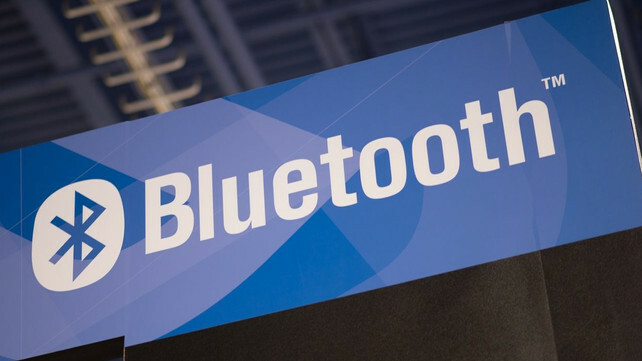 Between the security that Bluetooth offers and the increased connectivity that Bluetooth 5 will offer users, it will most likely be the choice of major manufacturers throughout the world. While this doesn’t mean you should run right out and make sure your current smartphone has Bluetooth 5 capabilities, it may be something you want to consider on your next purchase. Phones like the Samsung Galaxy S8/S8+ and HTC U11 have Bluetooth 5 capabilities provided by their Qualcomm Snapdragon 835 processors. Other devices also have Bluetooth 5 on board as well, but the list is rather small at the moment. For now, the 4.2 standard is more than enough, but moving forward , you may want to see that Bluetooth 5 logo on your next device, especially if you spend more than a few hundred dollars on it. Next Post MetroPCS: Is Saving A Little Worth This Much?